Minecract Installer is a small utility which functions as an easier and more streamlined way of installing Minecraft on your PC. The application download comes as an MSI package file which adds shortcuts to your desktop and start menu. 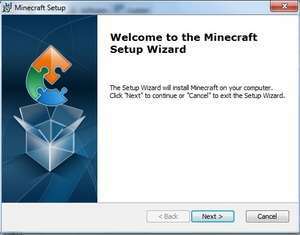 Minecraft Installer download installs the Minecraft simulation game on your PC. For security reasons, you should also check out the Minecraft Installer download at LO4D.com which includes virus and malware tests. Additional screenshots of this application download may be available, too. Minecraft Installer has a presence on social networks.